Yes, it’s possible to get durable, high quality finishes without endangering yourself or the planet! 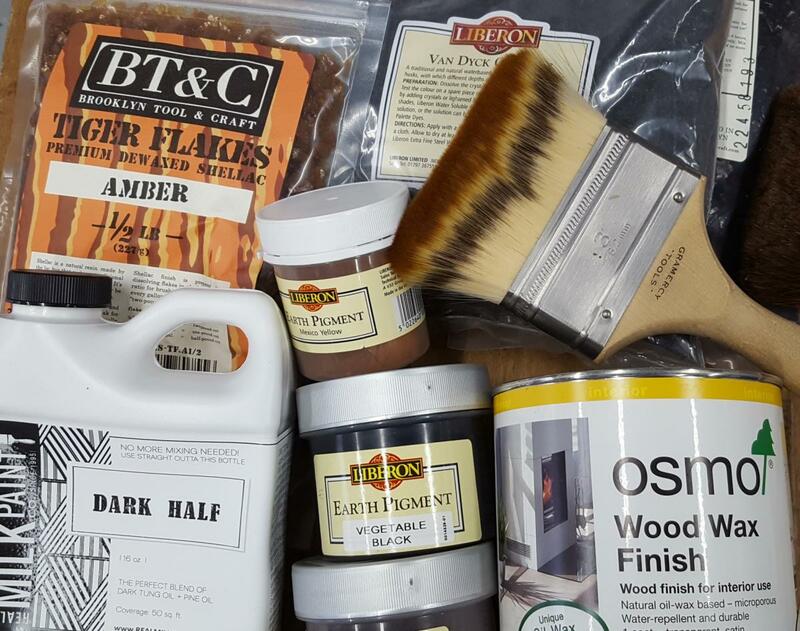 Learn more about alternatives to solvent-based finishes -- finishes made of plant oils and waxes, insect secretions, earth and mineral pigments, and other natural materials. Eddie O’Donnell will show you how to achieve the look you want using environmentally friendly products and techniques in this hands-on workshop. Class fee: $25. All students are given a TFWW gift certificate worth $10. Click here for more information and to register for the class. Location: Tools for Working Wood Showroom, 112 26th Street, Brooklyn. R train to 25th Street (a few blocks away). Street parking available. I am interested in the environmentally friendly finished session, however not being close to you facilities makes it an issue. While I am no techno wizard there are ways to broadcast them. Has that ever been discussed so as to enlarge the potential audience?